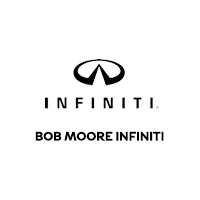 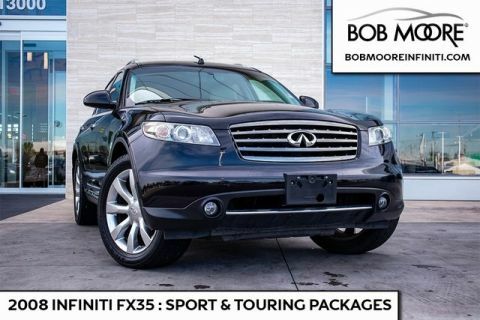 ACCIDENT FREE ON CARFAX, LEATHER, *BOB MOORE INFINITI*, MOONROOF/SUNROOF, HEATED SEATS. 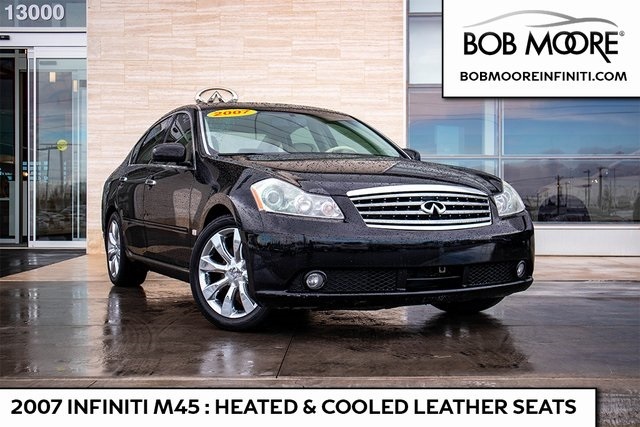 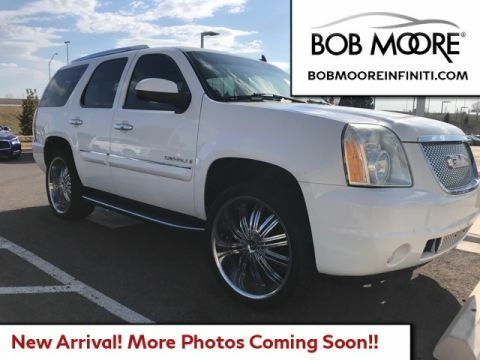 This vehicle is equipped with: 4-Wheel Disc Brakes, 6 Speakers, ABS brakes, Air Conditioning, Alloy wheels, AM/FM In-Dash 6-Disc CD Autochanger, AM/FM radio, Anti-whiplash front head restraints, Auto tilt-away steering wheel, Auto-dimming door mirrors, Auto-dimming Rear-View mirror, Automatic temperature control, Bodyside moldings, Brake assist, Bumpers: body-color, CD player, Compass, Delay-off headlights, Driver door bin, Driver vanity mirror, Dual front impact airbags, Dual front side impact airbags, Electronic Stability Control, Four wheel independent suspension, Front anti-roll bar, Front Bucket Seats, Front Center Armrest w/Storage, Front dual zone A/C, Front fog lights, Front reading lights, Fully automatic headlights, Garage door transmitter: HomeLink(R), Heated door mirrors, Heated front seats, High intensity discharge headlights: Xenon, Illuminated entry, Leather Shift Knob, Leather steering wheel, Leather-Appointed Seat Trim, Low tire pressure warning, Memory seat, Occupant sensing airbag, Outside temperature display, Overhead airbag, Overhead console, Panic alarm, Passenger door bin, Passenger vanity mirror, Power door mirrors, Power driver seat, Power moonroof, Power passenger seat, Power steering, Power windows, Radio data system, Rear anti-roll bar, Rear reading lights, Rear seat center armrest, Rear window defroster, Remote keyless entry, Security system, Speed control, Speed-sensing steering, Speed-Sensitive Wipers, Steering wheel memory, Steering wheel mounted audio controls, Tachometer, Telescoping steering wheel, Tilt steering wheel, Traction control, Trip computer, Turn signal indicator mirrors, Variably intermittent wipers, and Ventilated front seats. 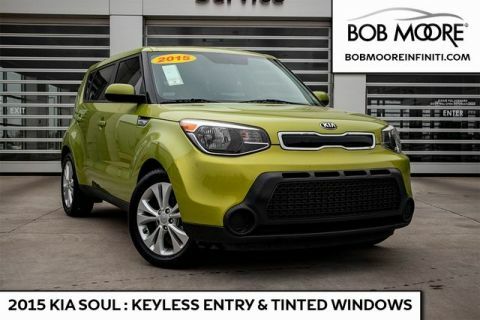 Odometer is 26340 miles below market average!